Who knew that stars and sweatpants make the perfect combo? 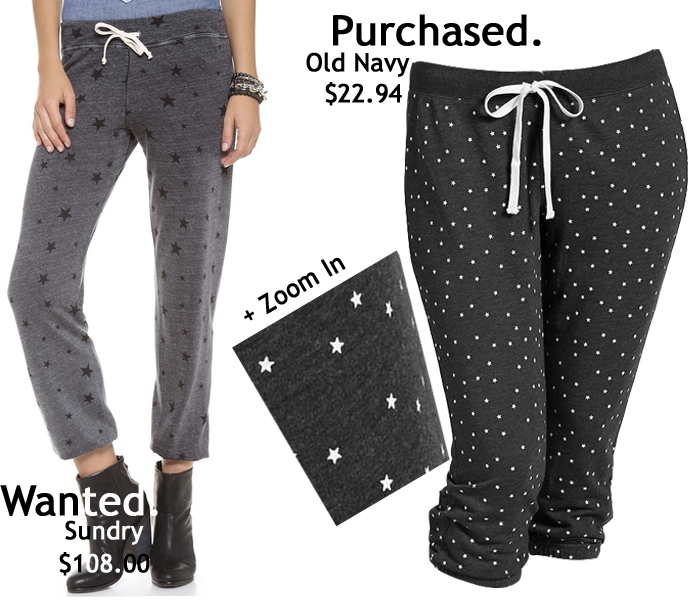 On my wishlist were a pair of Sundry star print sweatpants. When I saw the pants in person they seemed extremely small. I was bummed, as I thought they were a fun alternative to plain sweatpants. While browsing the aisles of an Old Navy, I came across an almost identical pair of sweatpants to the Sundry model. Not only was the print similar, but the Old Navy sweatpants were a fraction of the price! I immediately bagged the star pants, as well as an equally fun heart print version. My sweatpant dreams have officially come true.